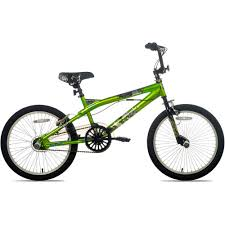 Brennen is a boy who loves to ride his green bicycle. He rides his bike to school and around his neighborhood. His bicycle is special because he saved his own money to buy it. He mowed lawns and did extra chores at home. It took him many months to get the money together. Brennen slid off his bike and leaned it against the rack without taking the time to chain it. They ran into the building to see his name on the list. Sure enough, his name was there and he got the lead! “Wow, can you believe it?” Brennon said. Soon, he was surrounded by kids patting him on the back and giving him high fives. He was beaming as they walked to class. At the end of the day, Brennen scooped up his books and hurried to his bike. He couldn’t wait to tell his parents. His bike was gone! Brennen checked out every rack and his sweet green bike was nowhere to be seen. Brennen ran to the school’s office. “Slow down Brennen and start over,” Mrs. Kelly said. Mrs. Kelly called Brennen’s mom and the police. They did a complete search of the premises but didn’t find the bike. Brennen showed the police officer a picture of his bicycle. The officer took the picture to the station so the other officers could identify what they were looking for. Brennen went home with tears in his eyes. He cried most of the night. His parents were sad for him. Days went by but they still didn’t find it. Brennen’s mom helped him make flyers with the picture of the bike and an award for its return. Brennen walked around the neighborhood putting the flyers up all over. He was sad. He had worked hard for his bike.Winter was coming so he wouldn't be employed to mow lawns until next spring. Brennen’s mom and Miss Fundy worked out the details so Brennen could make the practices. Brennen was excited to be part of the cast in the play. He knew many of the players. He was a little behind learning his part but felt he could catch up. 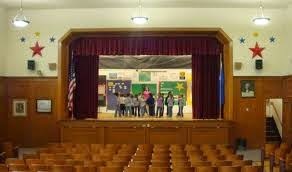 One of the kids in the play is named Todd. Todd went home sick right after practice started. The next day, Todd didn’t come to practice. “He’s still sick. His stomach has been bothering him but I’m sure he will be better soon.” Todd’s mom said. “Thank you. Tell Todd we miss him and to get better soon.” Miss Fundy hung up and went in search for Brennen. Brennen was in the hall waiting for his mom to pick him up. They chatted while they waited. Soon, his mom came in to get him. “Mrs. Thompson, would you and Brennen be able to drop off these script changes to Todd on your way home? He lives near you.” Miss Fundy asked. “We would be happy to.” Brennen’s mom said. Todd lived on the street around the corner of Brennen’s home. With the script in hand, Brennen jumped out of the car and trotted up to the porch. He reached up to ring the bell, when out of the corner of his eye, he glimpsed a green bike. Brennen hurried to the bike and ran his hand over it. It was his! “Mom! Mom come here!” Brennen yelled. “Don't say anything about your bike. Let me do the talking.” They went to the door and rang the bell. “Hello, my name is Brenda, I’m Brennen’s mom. We brought the script but I have a question for you. Is that your son’s bike?” Mrs. Thompson pointed to the bike. Brennen and his mom sat down and waited for Todd and his mom. They came in a while later. Todd had his arms crossed, head down, and wouldn’t look at them. “Todd, you need to tell us the truth. Whose bike is that and how did you come into possession of it?” his mom asked. “Why did you take my bike?” Brennen asked. “Well, it’s so cool and I don’t have one.” Todd finally looked up at Brennen. Brennen rode his bike home. He was happy he got his bike back but he was hurt that his friend took it. He worked out his feelings by the time he rode up the driveway. He put his bike safely in the garage before he went in for supper. From then on, Brennen made sure his bike was securely locked up or put away whenever he was not riding it. What do you think of Brennen? Would you have forgiven Todd? Right then or waited a while? Is there anyone you need to forgive? God wants us to forgive and love everyone even our enemies. Matthew 5:44 But I say to you, love your enemies, bless those who curse you, do good to those who hate you, and pray for those who spitefully use you and persecute you. Memorize: Colossians 3:13 b…and forgiving one another, if anyone has a complaint against another; even as Christ forgave you, so you also must do. Verses in NKJV unless otherwise stated.